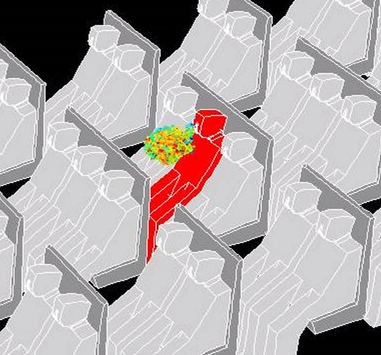 In a new video and study conducted by the FAA Center of Excellence at Purdue University, particles from a sneezing passenger are modeled as they disperse in the cabin. As we've mentioned before, the air coming from the airplane itself is most likely harmless. It's the next passenger over you need to worry about. So cover your mouth already!